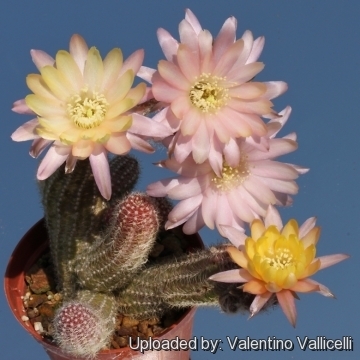 Description: The Chamaelobivia hybrids. 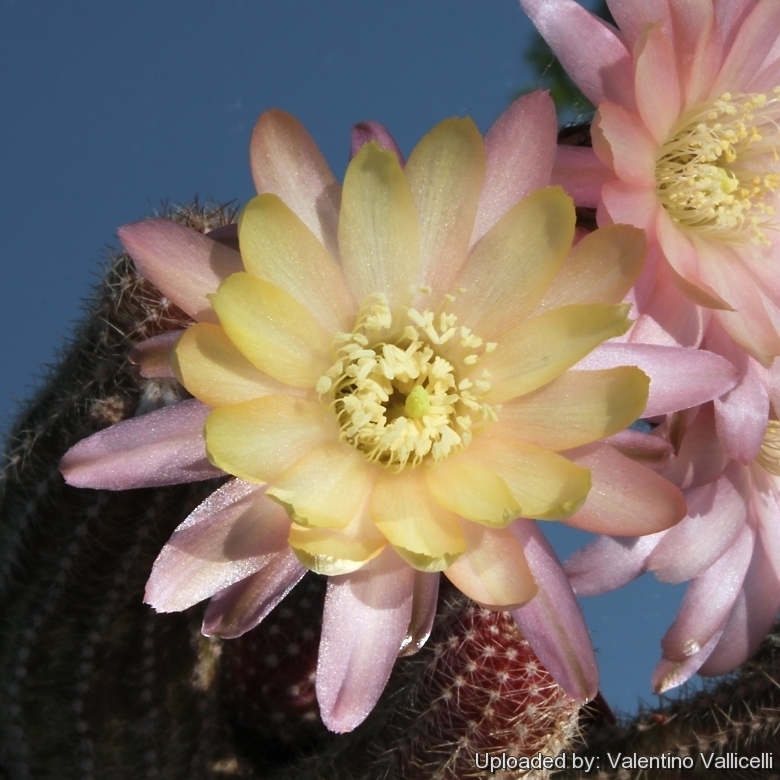 Chamaecereus silvestrii (now renamed Echinopsis chamaecereus) is an old species widely hybridized with various Lobivias, hence Chamaelobivia (intergenic hybrid of Chamaecereus and Lobivia), but since both of those are now reclassified as Echinopsis, that makes this an Echinopsis hybrid. 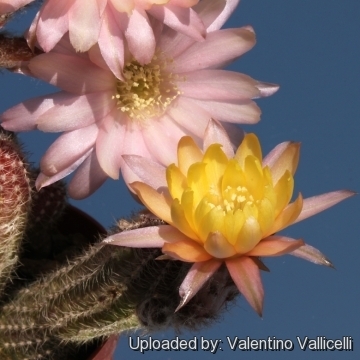 Chamaelobivia are very popular hybrids that develop really amazing flowers of different colours on the original "peanut" body and many of these hybrids have cultivar names. This plants soon form spectacular clumps with 20-30 (or more) flowers at a time, and are quite a sight. They are often thicker, stronger, larger-growing than Chamaecereus sylvestrii, and tend not to have the typical peanut shaped offsets. The offsets produced are more strongly attached to the main stems. Most of these hybrids can grow outside all year and can take a lot of sun. Hardy from -4° to -12° C, depending on clone.